Ex-cop indicted for fabrications found dead in Mass. MILLIS, Mass. -- A former police officer of a Boston suburb indicted for fabricating a story about a shootout with a mystery gunman in September and calling in a fake bomb threat to the high school was found dead at his home on Thanksgiving. Bryan Johnson, 24, was pronounced dead early Thursday, the Norfolk district attorney's office said in a statement. His Superior Court arraignment had not yet been scheduled, and the district attorney's office said that in light of his death, it no longer would pursue the case. Johnson, a part-time officer, subsequently was fired. 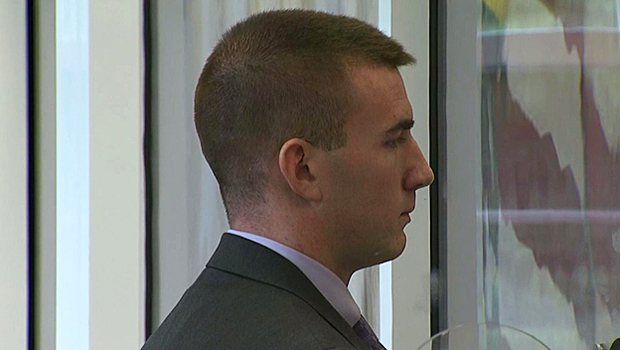 According to court documents, Johnson told investigators the truth was "incredibly embarrassing," CBS Boston reports. He had been promoted from dispatcher to part-time officer last year and was scheduled to start training as a full-time officer for the town of about 8,000 residents on the Charles River about 25 miles southwest of Boston.